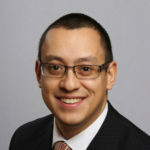 Eric Piza, Assistant Professor of Criminal Justice at John Jay College of Criminal Justice, is an expert in spatial analysis of crime patterns, problem-oriented policing, crime control technology and GIS mapping. Piza served as the GIS Specialist of the Newark, New Jersey Police Department, the research director for crime analytics of the Rutgers Center on Public Security and the research program coordinator of the Police Institute. He has received several awards including three from the National Institute of Justice. He has been published in scholarly journals including Criminology, Justice Quarterly, the Journal of Experimental Criminology, the Journal of Quantitative Criminology and the Journal of Research in Crime & Delinquency. Piza received his Ph.D., M.A. and B.S. in criminal justice from Rutgers University.